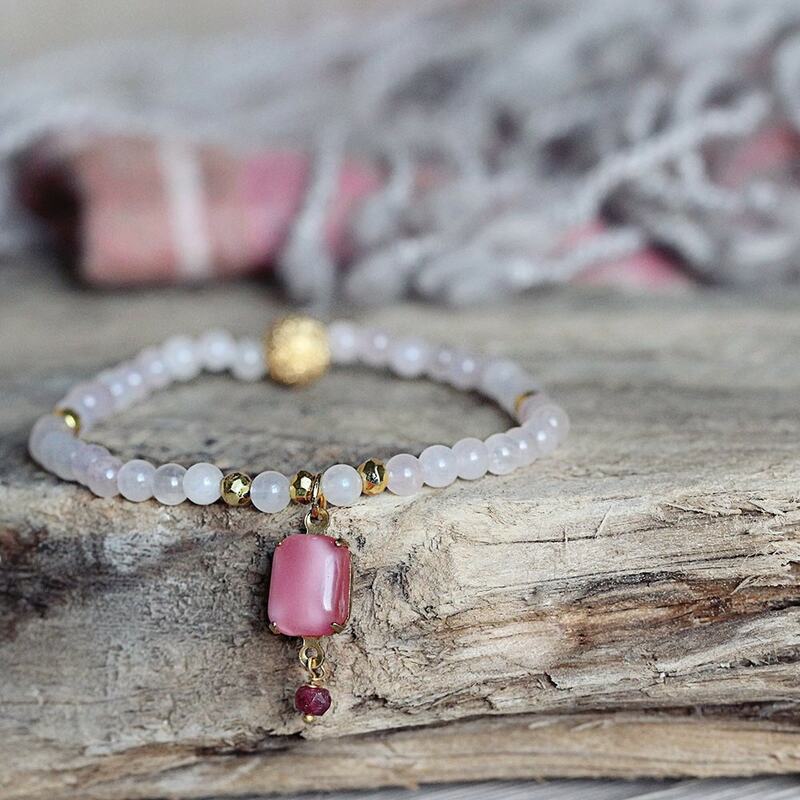 This rose quartz and ruby bracelet is exceptionally feminine and just a little bit playful. 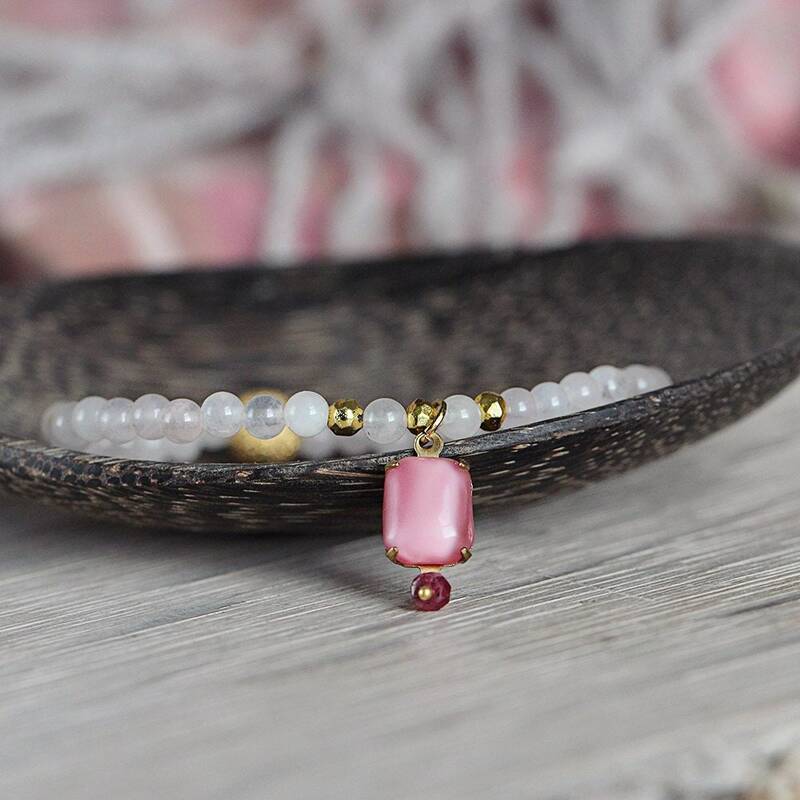 Featuring 4mm rose quartz in a pale, delicate whisper of pink with a charm that dangles like a dream on the back of your hand. The charm is fashioned from a lovely vintage glass stone set in brass, and finished with a genuine ruby stone. The golden pyrite is fresh and sparkling, and draws attention to the charm. 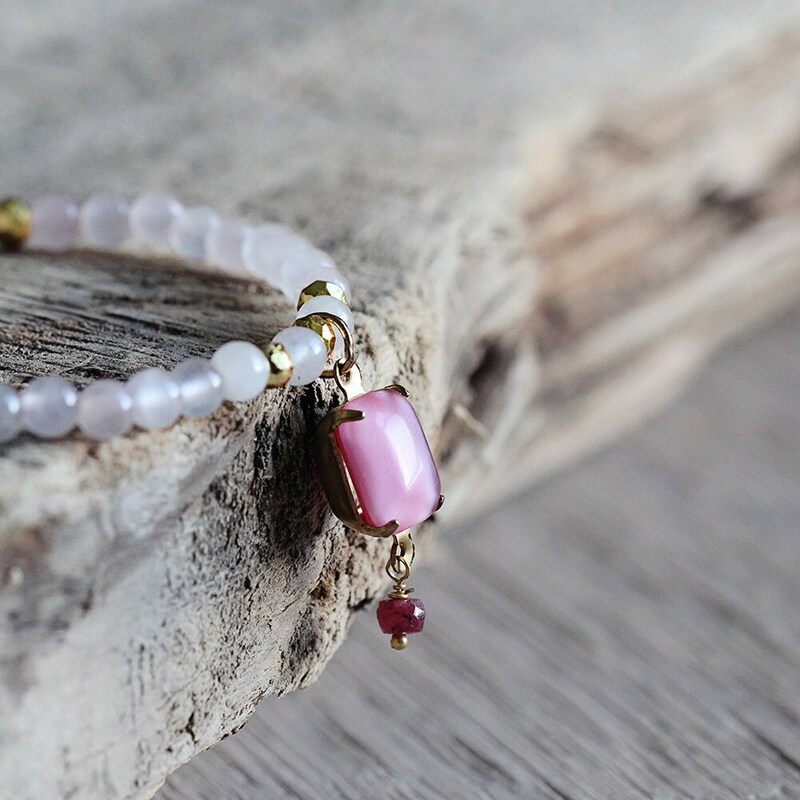 This bohemian charm bracelet will bring a delightful, playful touch to any outfit. 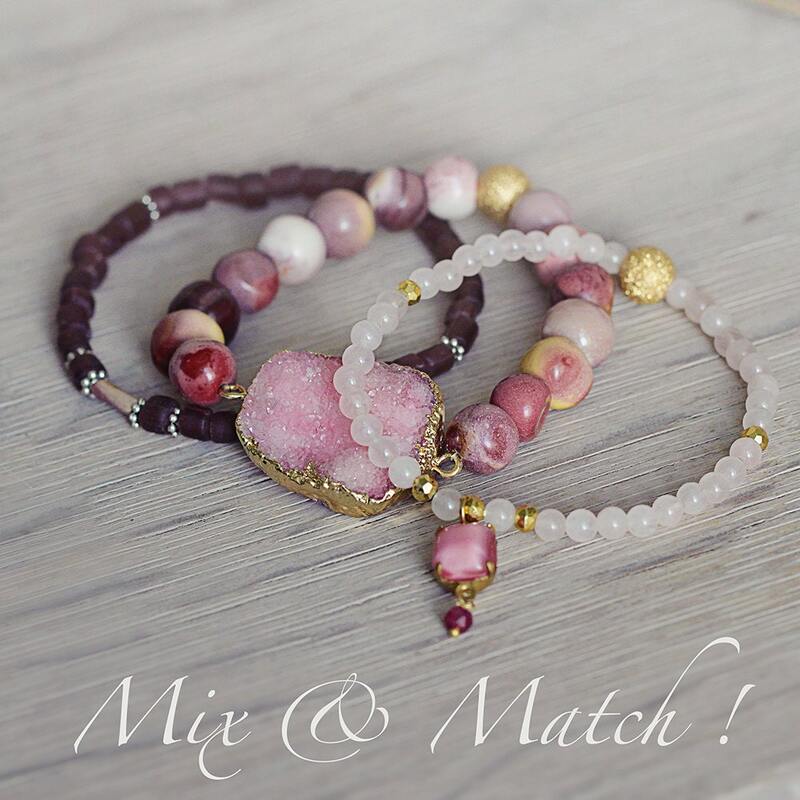 It stacks very well with other bracelets, so it's great for mixing & matching and creating your own unique look. Measuring approx 7 inches in length, this bracelet will happily fit a wrist up to 16.5cm / 6.75 inches. * Rose Quartz beads 4mm. * Length - approx 7 inches - will fit a wrist up to 16.5cm / 6.75 inches. * Is this is a gift? Then let me take care of that for you! * Artique Boutique jewellery comes beautifully presented in an organza gift bag for free. But if you would like to add that extra special touch to your gift, then our lovely black gift box, wrapped in ribbon, with a handwritten card, may be just the finishing touch you need. You can find it in the 'Gift Box' section.